For Immediate Release – October 19, 2017 – Oklahoma City, Okla. – The 2017 National Reining Horse Association (NRHA) Futurity & Adequan® North American Affiliate Championships (NAAC) has joined hands with a new event sponsor, bringing a new twist to a well-known event. Presented by Farnam®, this year’s Celebration of Champions will be held prior to the section two Lucas Oil Level 4 Open Futurity Finals on Saturday, December 2, from 4 to 6 pm in the Super Barn. “The accomplishments of the 2017 show season culminate in November in Oklahoma City. 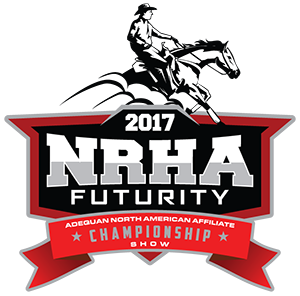 This special event is a celebration of all NRHA Futurity and Adequan® NAAC champions. NRHA is excited to welcome Farnam® into our sponsor family and thank them for presenting the Celebration of Champions,” said Sammi Miller, Director of Corporate Relations. All NRHA Futurity exhibitors and attendees are encouraged to attend the event to celebrate everyone’s successand kick off the excitement that comes along with the Open Finals performance. During the NRHA Futurity & Adequan® NAAC, the world’s best reining horses and competitors come to Oklahoma City to compete for an estimated total purse and cash prizes of more than $2 million. For more information on schedules, tickets, hotel accommodations, sponsors and more visit nrhafuturity.com. Founded in 1946, Farnam has grown to become one of the most widely recognized names in the equine animal health products industry. No one knows horses better than Farnam®. That’s why no one offers a more complete selection of horse care products. Farnam® Horse Products serve both the pleasure horse and the performance horse markets with products for fly control, deworming, hoof and leg care, grooming, wound treatment and leather care, plus nutritional supplements. For more information on Farnam®, visit farnam.com. Sign up forLife with Horses,a free monthly e-newsletter, to receive the latest horse health news and product updates along with money-saving, subscriber-only rewards.